Warm, personable, consummate professional! DeWayne was interested in knowing us and our specific needs. He has great knowledge of the market as well as local areas. Marianne & Howard Z.
DeWayne was thorough, knowledgeable, and conscientious. I would recommend him to anyone looking for New York real estate. He was also very interesting and engaged and I enjoyed spending time with him. Robert G.
We were introduced to DeWayne via a mutual friend and I'm so grateful for that introduction. DeWayne more often than not knew more about the properties we were looking at than the selling broker. He was fantastic at following up selling brokers on any questions we had and keeping on them for answers. He's so well researched and organized, giving us packets of information on every property we looked at. After our first day together he immediately got to know our style and curated a list of properties for us to look at that he knew we'd like. I also love that DeWayne is incredibly genuine and calls things as they are, if something was off about a property he'd call it out and not sugar coat it just to push us to buy. My husband and I are starting to think about buying an apartment in Manhattan and the thought of spending our weekends with DeWayne to look through properties makes me so happy! He's a true gem. Julia and Nick B. In our search for property in Dutchess County, we worked with a number of brokers including DeWayne Powell. DeWayne completely understood our goals and showed us properties that met and even exceeded our expectations. We highly recommend DeWayne. Ray B.
DeWayne is extremely knowledgeable and was very perceptive as to what we were looking for. He was able to make our time efficient by sending us information on a broader but carefully curated set of listings so that we could narrow it down. Delightful to work with. 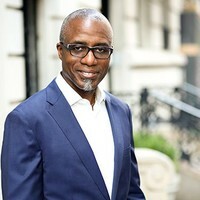 Joanne D.
My husband and I had the pleasure of working with DeWayne Powell during our purchase of a home in Hudson, NY. While the transaction, like many New York real estate transactions, had its fair share of complications, DeWayne was personable, knowledgeable, responsive and patient throughout. I would highly recommend DeWayne, and look forward to working with him again if the opportunity came up! Alice W.
DeWayne found us our dream house on the first day of house hunting. In fact, it was the first house he showed us. We saw about a dozen houses in the area where we were looking and he just knew this one would be for us and it was. He also provided us with information to find a great contractor, lawyer, arborist, and everyone in between. We got a great deal, too. Buying a house with DeWayne's help was the best possible experience, and I would recommend him to everyone looking in the area. Thank you, DeWayne, for making a dream come true for us, we had so much fun with you! Patrick & Samantha P.
DeWayne is an exceptional real estate agent. I was impressed with his knowledge of the area, his candor and demeanor, responsiveness and follow through. He did his job very well and I was happy to have worked with him. I'd recommend him to anyone buying or selling real estate! Gregor P.
DeWayne Powell was recommended to me–very highly–by a mortgage broker I’ve worked with for years. DeWayne proved to be extremely helpful, thoughtful, responsive and generous. I think DeWayne has excellent judgement. He definitely came through for me. In my opinion, DeWayne Powell is someone you can trust. I certainly do. Dr. Elizabeth T.
I cannot say enough good things about DeWayne Powell! He helped our family make the difficult transition from Manhattan to West Hurley with patience, good humor, vast knowledge and a great deal of skillfulness. I really don’t think we would have been able to do it without him! He found the house (after tirelessly finding us possible homes to peruse), a contractor and an inspector to look it over, carefully walked us though the offer and contract to completion, and even helped us find a realtor to sell our home in NYC! DeWayne is the best and we count ourselves as a family very lucky to have worked with him. Ayumi T. & Martin R.
Mr. Powell is a sincere and creative professional who gets results for his clients. Randall and Pam J.
DeWayne is personable, very knowledgeable of the markets he works in and has the patience of a saint. Diana W.
DeWayne was the best real estate agent my husband and I could have hoped for in the search for our first home. Dr. Christine L. & Bill G.
We’ve been working with DeWayne Powell for close to a year now as we research, assess and begin to understand the real estate market in the Hudson Valley, NY area. From day one, DeWayne has been an invaluable resource and along the way he has become a trusted friend. He has deep knowledge of the market, a wealth of insight into the subtleties of certain listings and a wide network of other professionals (inspectors, builders, handymen, etc.) to help us in our search. DeWayne is incredibly polite, polished and professional. We feel more than comfortable recommending Dewayne to anyone looking for a house in the Hudson Valley. Charlie W. & Julie M.
Having little to no experience of real estate outside New York City, DeWayne was a godsend for us. He knew our worries before we did, pointed out the pros and cons of each potential property, and helped us with difficult process issues. His personality made this process pleasurable as well. I HIGHLY recommend working with DeWayne. Hall C. & Michael K.